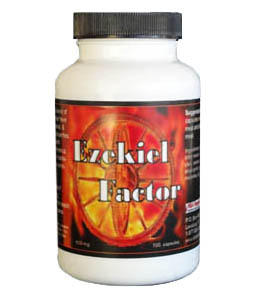 Ezekiel Factor is a synergistic blend of rainforest herbs that have anti-viral, anti-bacterial, & anti-inflammatory properties. These herbs have been used for generations by the indigenous people in the Amazon for a variety of viral, bacterial, and venomous conditions. Over the years scientists have verified many traditional uses of these Amazon herbs / plants, and they continue to be an important natural remedy in herbal medicine throughout the world. * kills viruses, neutralizes venom, reduces inflammation. * calms coughs, expels worms.